SteelCentral AppInternals provides a revolutionary way of prioritizing optimization efforts based on the business impact to your mission-critical applications. Tuning without understanding the business impact is a lot like playing Whack-a-Mole. Traditional application tuning efforts often involve identifying the slowest code or SQL, optimizing that, identifying the next slowest code or SQL, optimizing that, and so on, and so on, and so on…, but without knowing the impact to the business, do you know that your efforts are the most impactful they could be? Are your efforts making a difference to your end users? AppInternals‘ Performance Graph presents performance data in a new way by showing logical relationships between transaction types and their associated sub-components. Performance Graph easily and visually shows component delay for every transaction type. 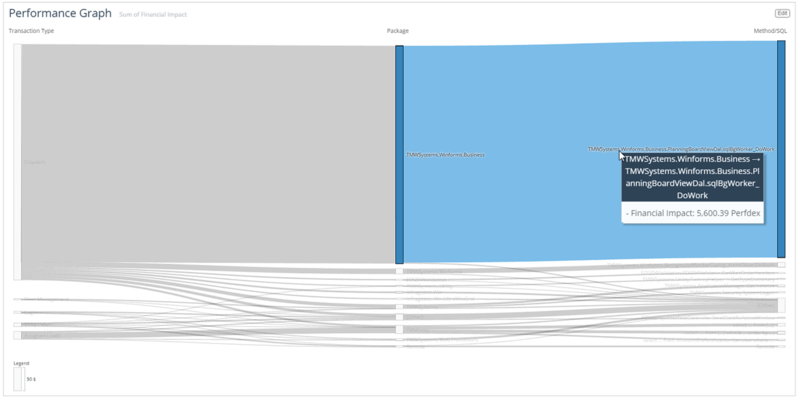 In the graph below, we see the objects associated with each transaction type and quickly see where the application is spending its time. In this case, where we are not accounting for business impact, we might start our optimization efforts with the DX.EntryPoint.Main method. If we weight the transaction types based on their importance to the business, our focus changes. In this example, we are working with a transportation application. Dispatching trucks is the most important function. If trucks do not roll, the company does not make money. Invoicing on the other hand, is important, but not as critical as dispatching trucks. If we assign a financial value to each transaction type, or a relative weight if we do not know the actual financial impact, our tuning focus changes. 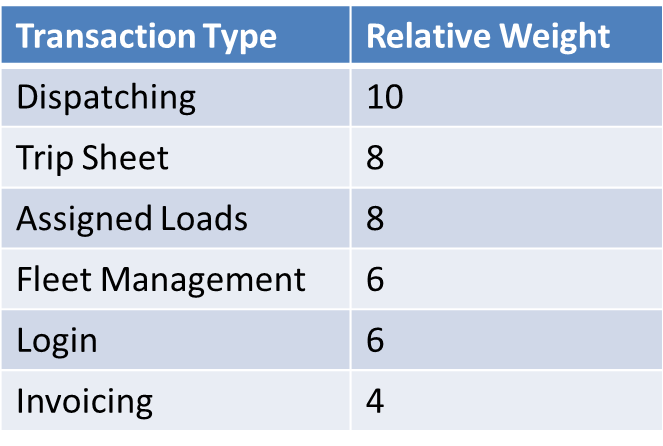 After applying weights, we see without a doubt that TMWSystems…DoWork method is the most time consuming method based on what is most important to the application (i.e dispatching trucks). Tuning this will have a direct impact on critical application performance. This is one of the many uses of AppInternals’ Performance Graph. Try out SteelCentral AppInternals today!